The luxury real estate market in 2018 wasn’t great for many people. Sellers in cities as far apart as London, Los Angeles, and New York found themselves facing daunting macro- and microeconomic headwinds, while buyers, on the other hand, had to contend with overpriced stock and rising interest rates—and taxes. In 2019 every market indicator points to things getting worse for sellers. 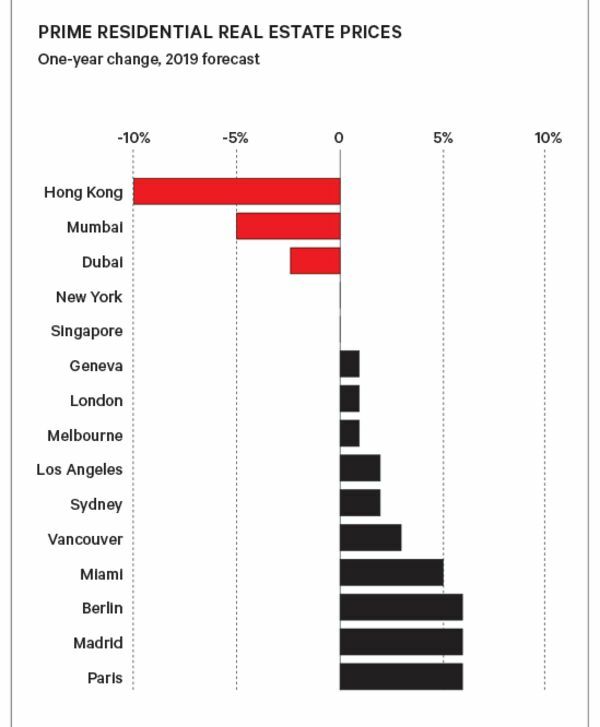 London, Amsterdam, Hong Kong, Munich, Toronto, and Vancouver are all at risk of property bubbles and their subsequent deflation, according to a report by UBS Group AG. “In the United States, if you look at the data it’s crystal clear,” says Jon Woloshin, the head of real estate for UBS Global Wealth Management’s chief investment office. In the luxury tier, which Woloshin pegs at about $3,000 a square foot and higher, “there’s been a clear slowdown in the market,” he says. Foreign buyers, particularly wealthy Chinese, have pulled back in part because of a strong dollar, while rising interest rates are making domestic homeownership less attractive. That means more supply. In the London market, prohibitively high asking prices, combined with Brexit uncertainty, have slowed the housing market to a crawl. In September prices of homes sold fell 0.7 percent from a year earlier, the Office for National Statistics reports. Compare that to as recently as March 2016, when price growth was 14.8 percent year over year. That slowdown could accelerate. 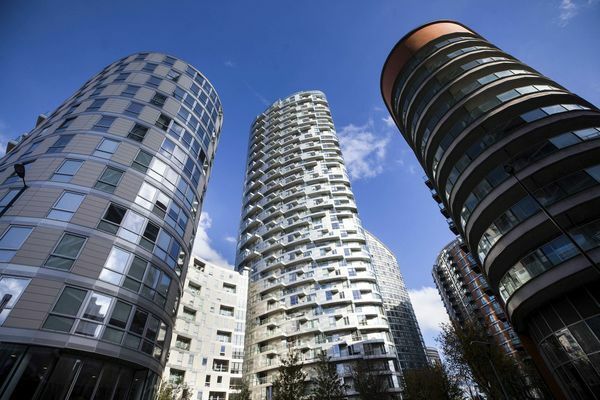 “If this is truly a hard Brexit and there’s a loss of passporting, or if that becomes more challenging, then I start to question if there’s a potential for a ripple effect into residential real estate,” Woloshin says. The market slowdown isn’t only in financial centers; it’s also where people in those financial centers vacation. Home prices in the Hamptons on New York’s Long Island are down, and inventories are up. Average sales prices in Aspen, Colo., fell 13 percent in the third quarter of 2018 from the same period the previous year, a report by Douglas Elliman Real Estate shows. And in Switzerland, posh resort towns such as Verbier saw prices fall modestly by mid-2018, according to a Knight Frank report in May. Possibly the greatest threat to sellers’ home prices is excessive supply. “We forecasted last year that in 2018 there would be about 3,000 new condominium units coming” in New York City, says Jonathan Miller, the president of the appraiser Miller Samuel Inc. The city’s softening home prices have gotten a lot of attention—last quarter, the median price in Manhattan dropped below $1 million for the first time in three years. “What was different in 2018, and will be even more marked in 2019, is that there will also be product coming onto the market that was held back in 2016, when the market started to soften.” Developers can’t afford to keep holding back, so more apartments are entering the market even as fewer people are buying. “Every year the cumulative inventory keeps rising,” Miller says. He estimates that by the end of 2019, there will be almost 8,000 units on the market; only about 2,000 of those are expected to sell. And that’s just new apartments—resales add significantly to the total.